For those who knew Karen, I need not say too much regarding the type of person she was. Always smiling and loving every moment of every day, regardless of how the day may be going. 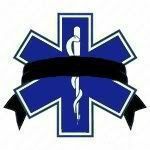 The loss of Karen is truly a loss to Gold Cross, EMS in general and everybody that had the potential of coming in contact with her. On behalf of our SE Minnesota family of EMS Providers, We extend our sincere sympathys to her family, friends and co-workers. She will be deeply missed! Visitation was at Michaelson Funeral Home on Wednesday, July 31 from 4pm to 8pm and at St. Joseph Catholic Church on Thursday from 9:30am to 10:30am. Funeral services were held Thursday, August 1 at 10:30am at St. Joseph Catholic Church with Father Mike Cronin officiating. Interment was in the Sacred Heart Cemetery in Owatonna.